With the winter season now upon us, we here at the development team would like to wish all of our fans happy holidays and hope that no matter where you are or what you are doing, that you are enjoying yourself. We would also like to thank everyone who voted for FH2 in this year's Mod of the Year. 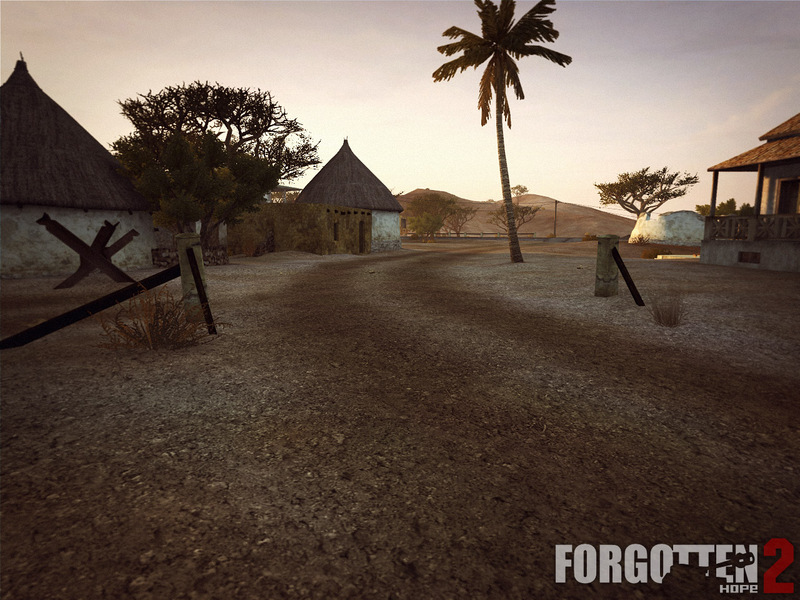 With the results now public, Forgotten Hope 2 has received an 'honorable mention' in the Player's Choice category. We are very pleased to see that so many people still enjoy our work, even after so many years. Thank you. 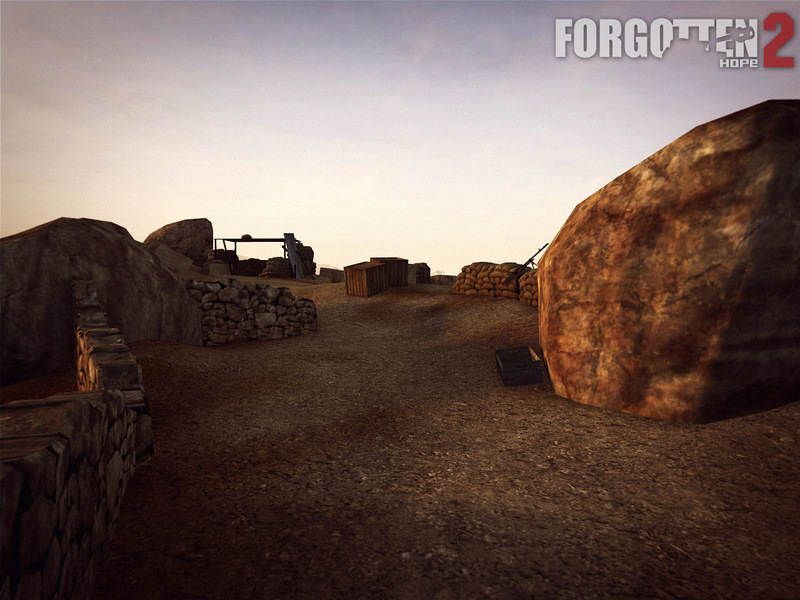 And now as our way of giving back, today we are proud to announce the first map that will be featured in the upcoming patch; Battle of Keren by Schism! 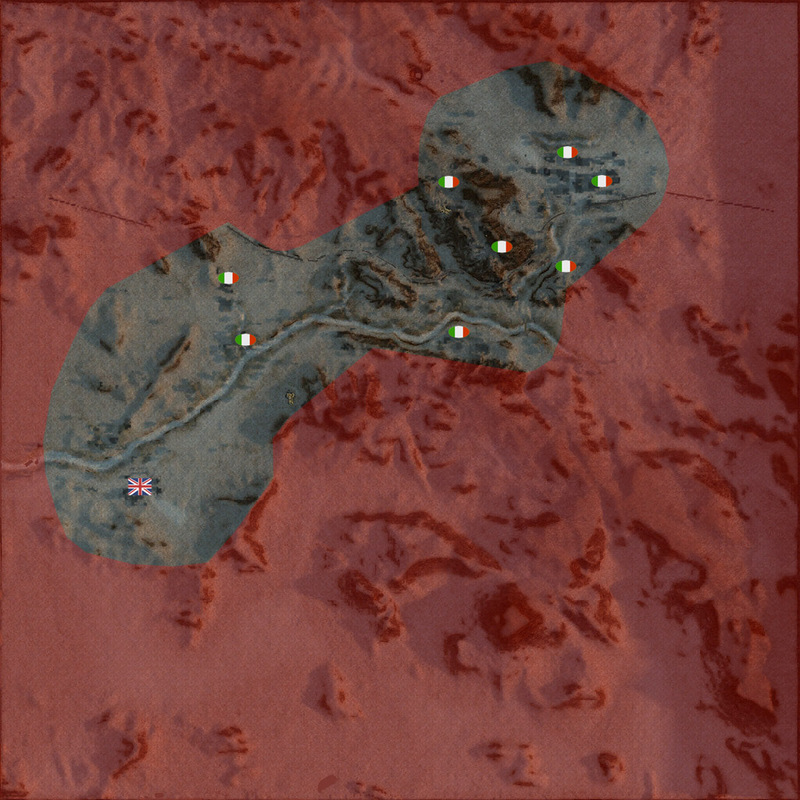 The Battle of Keren was fought from 3 February 1941 to 1 April 1941 between the colonial Italian army defending Eritrea and the invading British and Commonwealth forces. 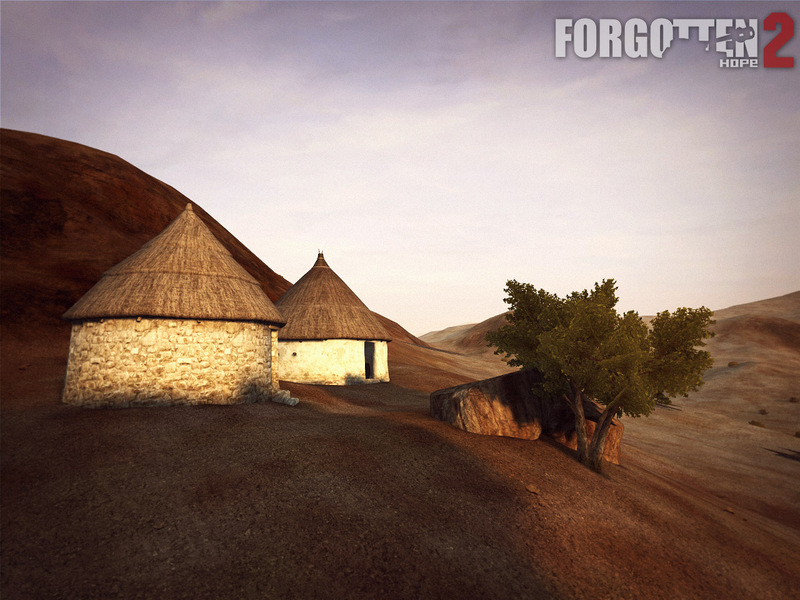 Keren was a town located in the Italian colony of Eritrea and was of strategic importance to both the Italian and the British forces. 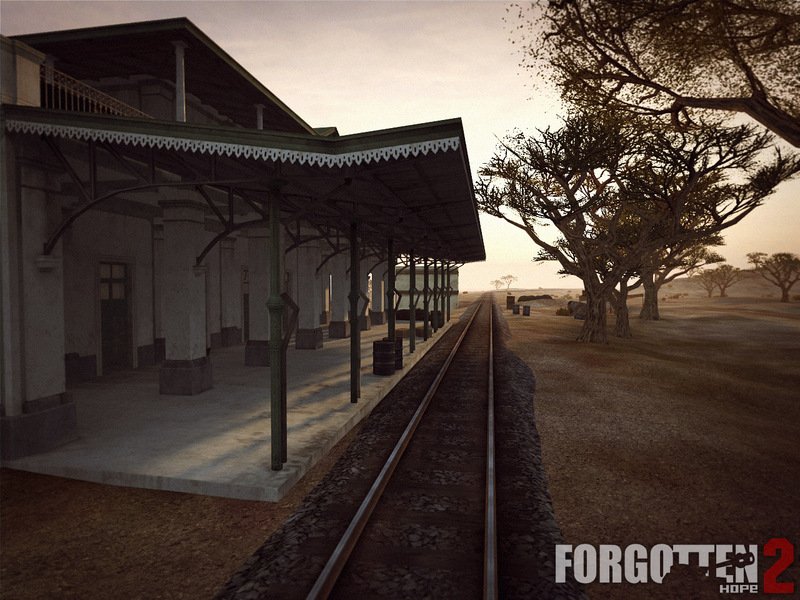 The road and railway routes through Keren were the key to access the city of Asmara and the Red Sea port of Massawa. 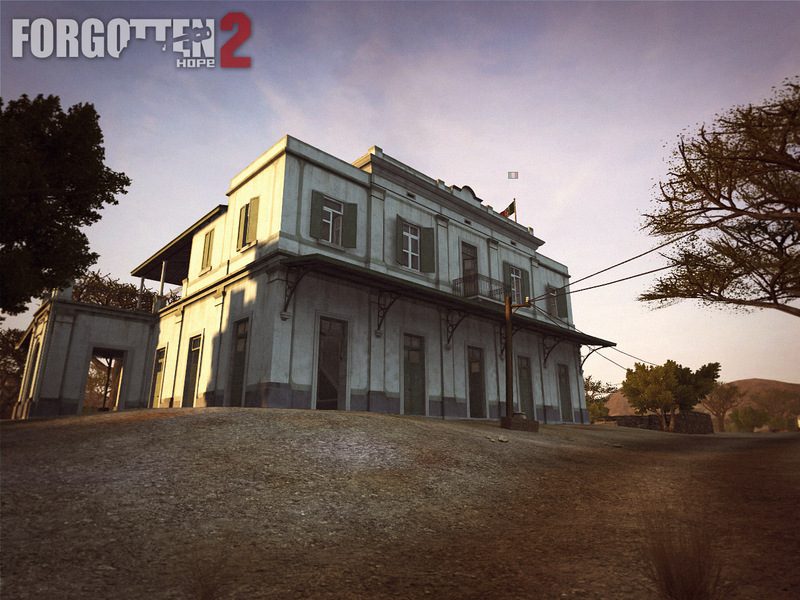 Our winner for this week's screenshot competition is Kadoffel. You can view the winning submission here. We are now accepting entries for the week of Dec. 25th. If you think you have the best FH2 screenshot, post them here. 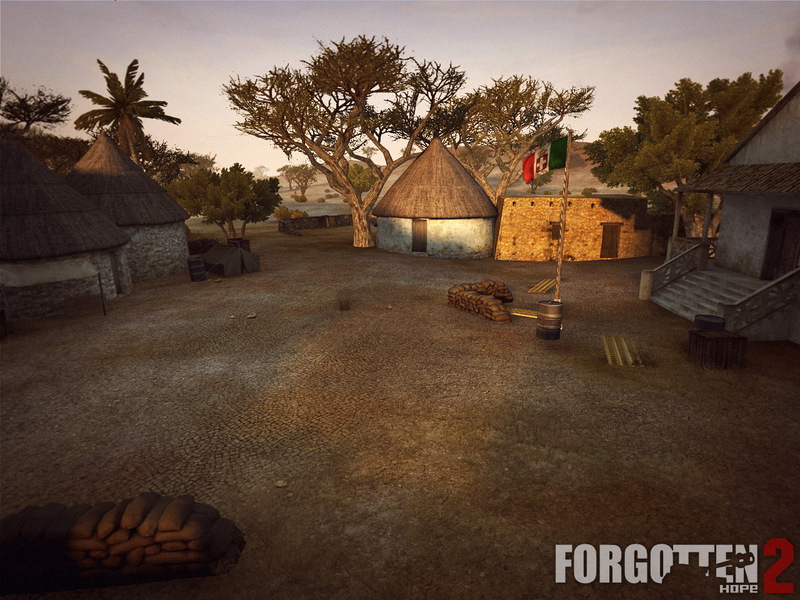 Before we get on with this week's news, we'd like to remind everyone about voting for Forgotten Hope 2 in the 2011 Mod of the Year competition. The month of December is half over, and the second phase is almost over. You can click on the MOTY image above to vote. For this week, we are showing off one of the mainstay tanks of the US forces in North Africa; the M3 Lee! The Medium Tank M3 was an American tank used during the early stages of World War II. Nicknamed the 'Lee' by the British after US General Robert E. Lee, the M3 served two primary purposes. First, it fulfilled the US Army's need for a good solid tank, and the British' need for an immediate delivery of 3,650 tanks. A combination of heavy armor, and a 37mm gun in the turret and a 75mm in the hull meant that the M3 was a good match for its German counterparts. However, the tank was not without its share of shortcomings. 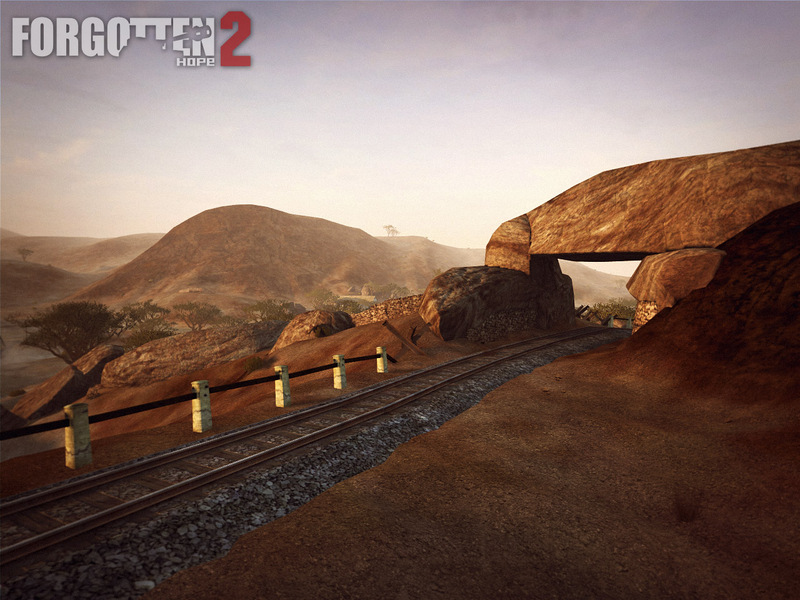 It suffered from a high silhouette, poor off-road performance, and its 75mm gun had a limited traverse. As soon as the M4 Sherman was available in large numbers, the Lee was withdrawn from service, but by then, 6,528 had been produced. 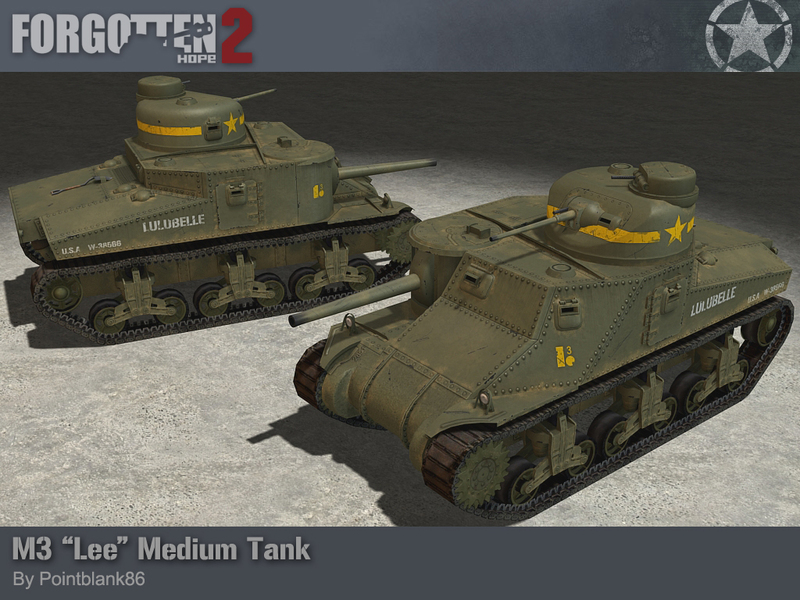 The Medium Tank M3 'Lee' was made by Pointblank86. 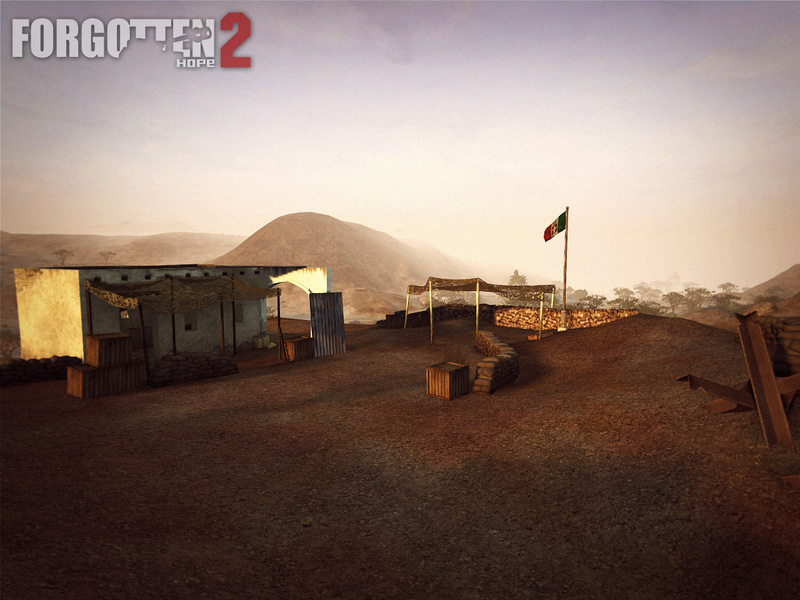 Our winner for this week's screenshot competition is =Capten=Cymro=. You can view the winning submission here. We are now accepting entries for the week of Dec. 11th. If you think you have the best FH2 screenshot, post them here. On a final note, we'd like to let everyone know that we are once again looking for talented and dedicated individuals to join our team of developers. 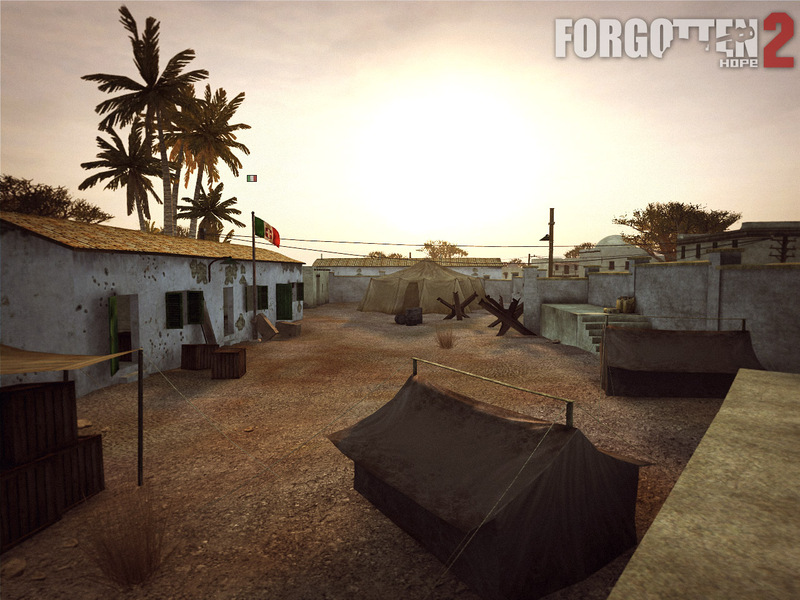 In particular we are looking for those who have experience creating 3-D, static models on the Battlefield 2 engine. 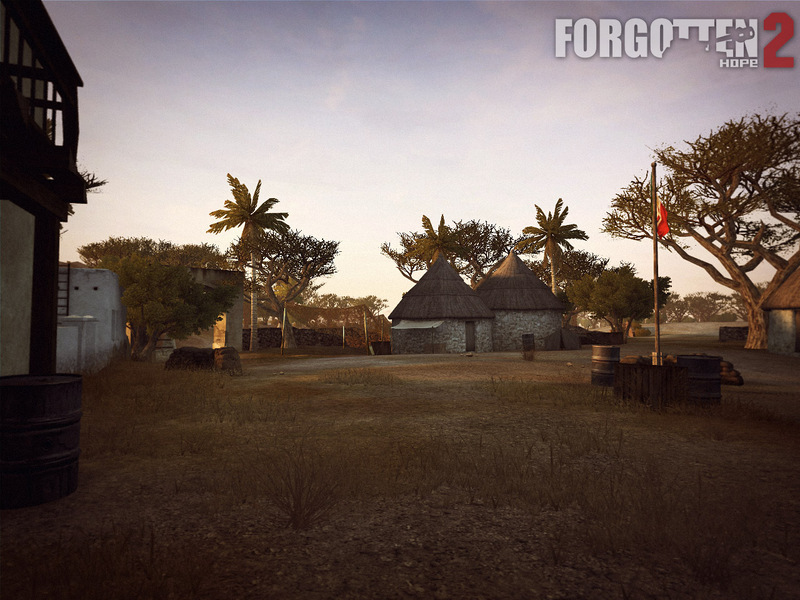 If interested, please send an email to: fh2mod@gmail.com. Be sure to include your name, and a link to your portfolio. 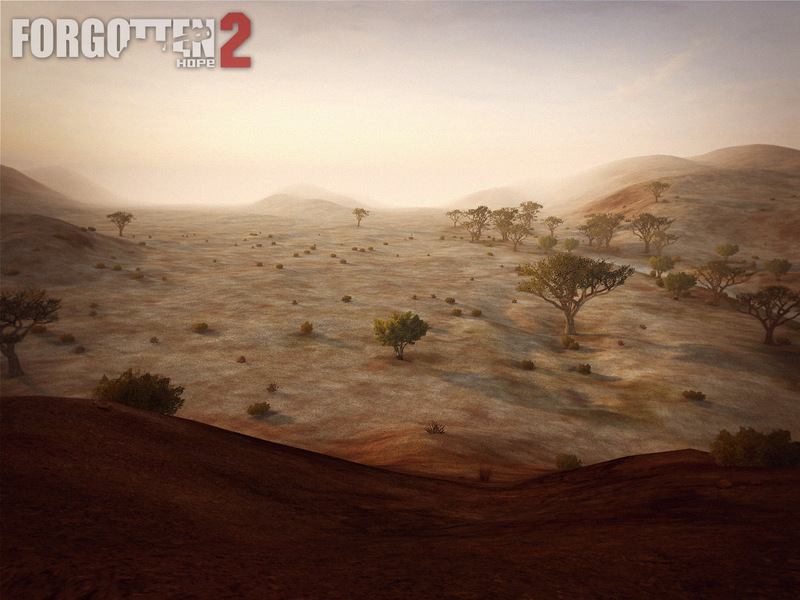 Before we get on with today's update, we would like to thank all of our fans for voting FH2 into the top 100 mods of the 2011 Mod of the Year competition. 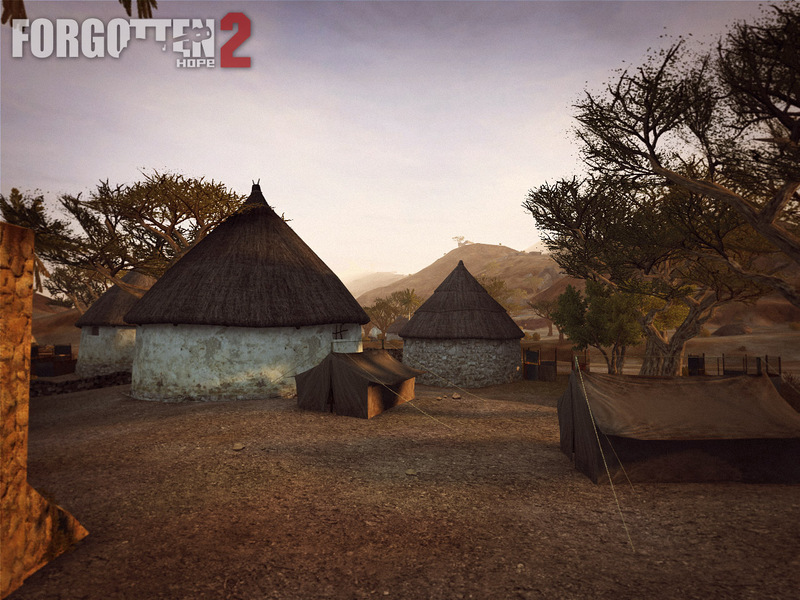 Phase 2 of voting has started, so be sure to click on the MOTY image above and vote for FH2! 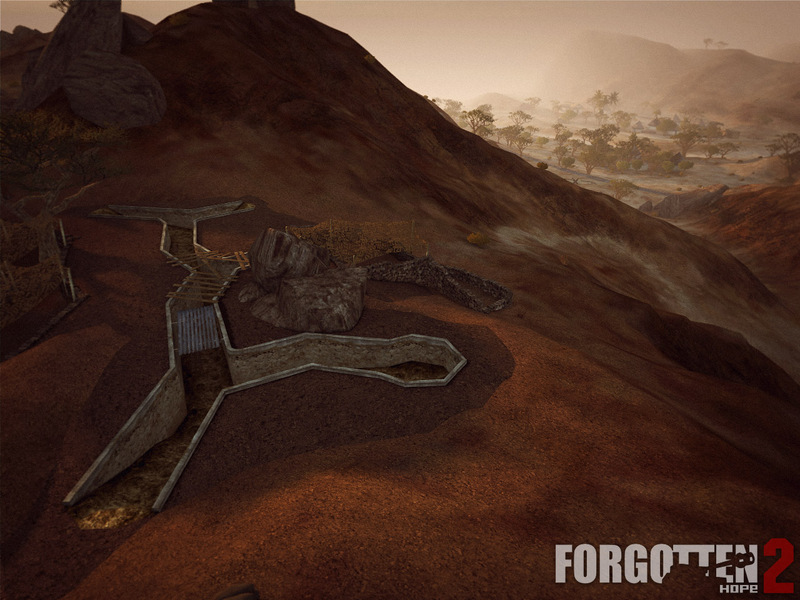 This week we are showing off four brand new handheld explosives. 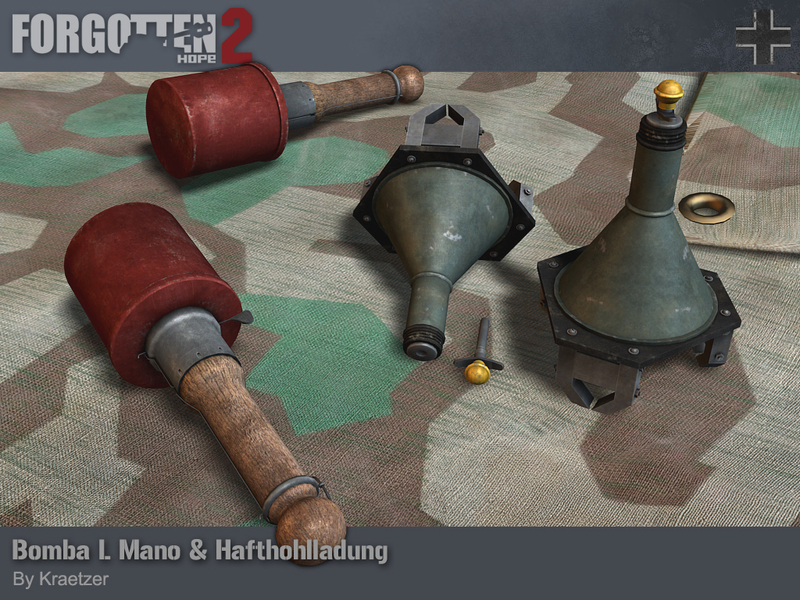 In order of appearance: the German Hafthohlladung magnetic anti-tank grenade, the Italian Bomba L mano anti-tank grenade, the British A/P Mine Mk II anti-personal mine, and the British No. 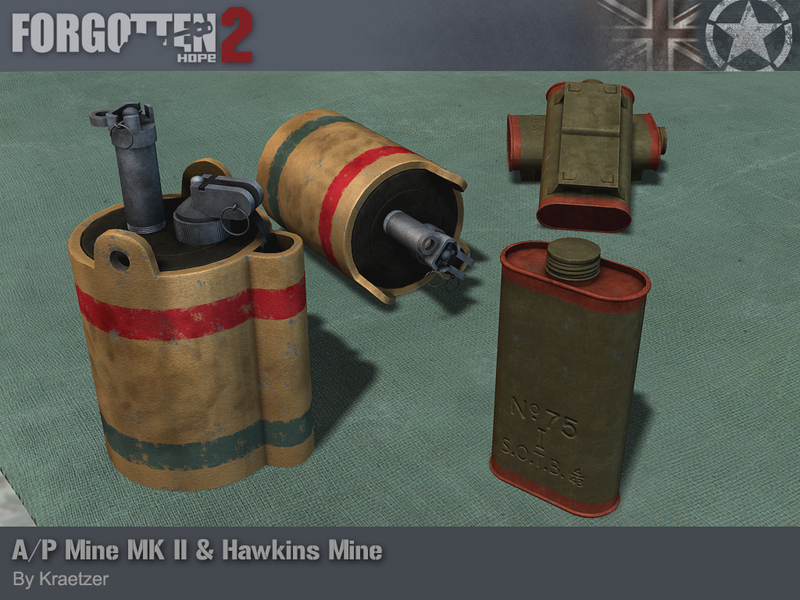 75 anti-tank "Hawkins Mine". All of which were done by Kraetzer. 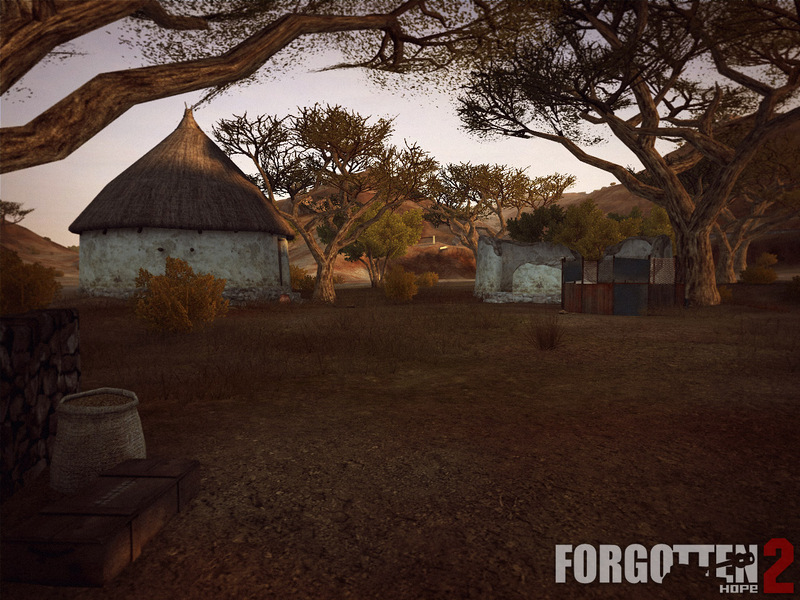 Our winner for this week's screenshot competition is FOXberetvertJack. You can view the winning submission here. 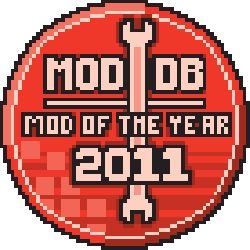 Before we get on with today's update, we'd like to remind everyone that the first phase of voting for the 2011 Mod of the Year (MOTY) competition has started. 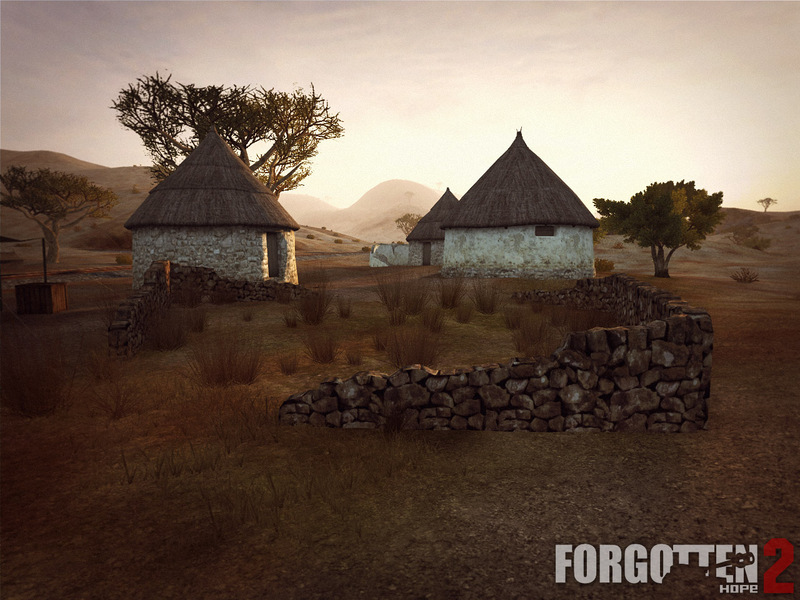 Be sure to head over to moddb.com and vote for Forgotten Hope 2. This week we are showing off two tanks that have already seen combat with British forces, but have been re-fitted and re-painted for use by Americans in North Africa. They are the M3A1 Stuart and the M4A1 Sherman! The British were amongst the first to use both the Stuart and Sherman tanks in combat during the battles of Operation Crusader and El Alamein. American tank crews would get their first taste of combat during Operation Torch, and would go head-to-head against the German Panzer III and Panzer IV. While this was often an even match up, it was the feared Tiger I that could inflict serious damage to a US armored company, and many times it took a strong combination of tanks, air power, and artillery to defeat them. The M3 Stuart and M4 Sherman would go on to serve both the British and American armies throughout the North African campaign until they were ultimately replaced by newer variants in 1943 and 1944. 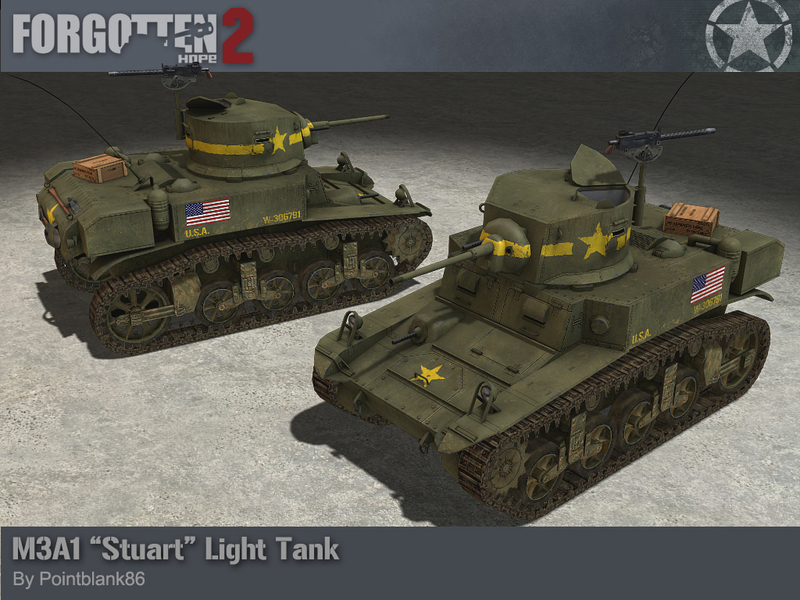 The M3A1 Stuart was done by Pointblank86. 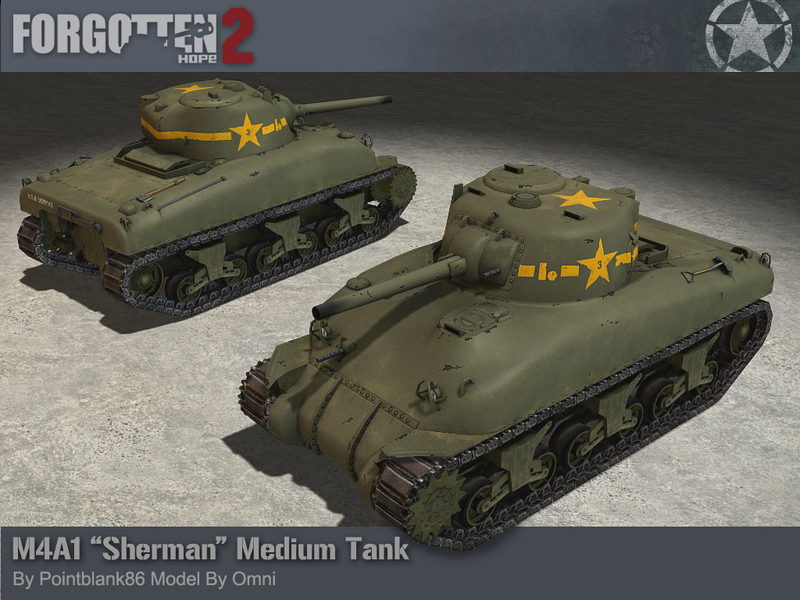 The Sherman was originally modeled by Omni, and was re-skinned for Africa by Pointblank86. 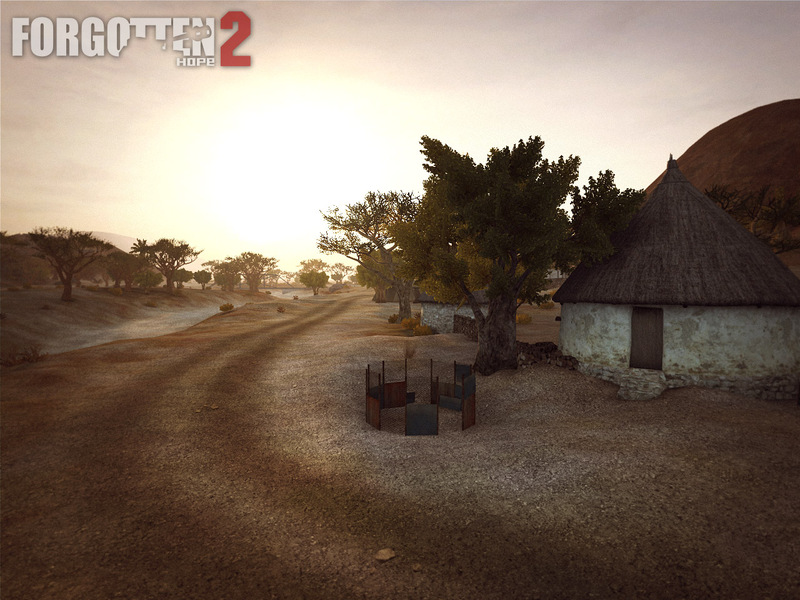 Our winner for this week's screenshot competition is MaJ.P.Bouras. You can view the winning submission here. We are now accepting entries for the week of Dec. 4th. If you think you have the best FH2 screenshot, post them here.